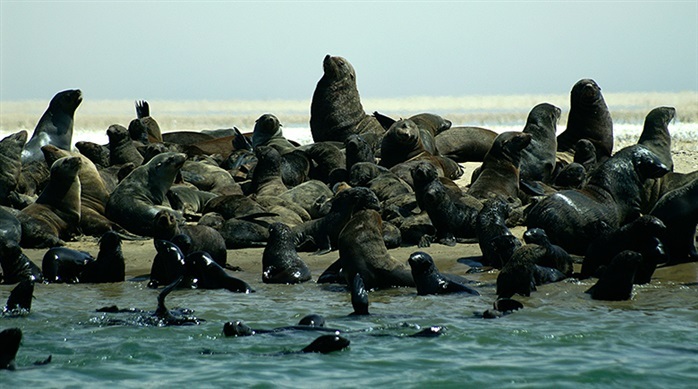 Along its Atlantic Ocean coastline Namibia is home to colonies of Cape Fur Seals, found only in southern Africa. These curious creatures seem as interested in the tourists as we are in them. 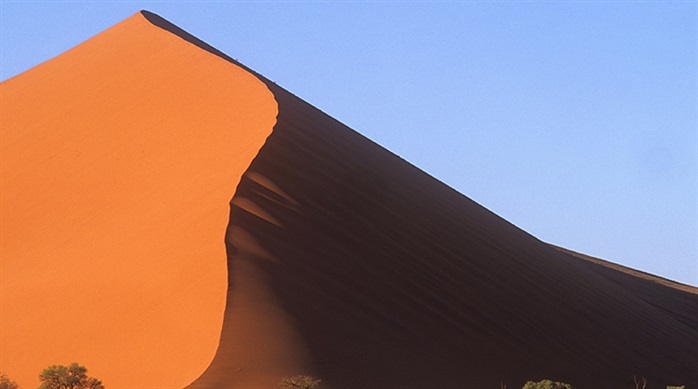 Unfortunately, the Namibian government annually culls the herds, despite the international outcry against this expressed by conservation groups. 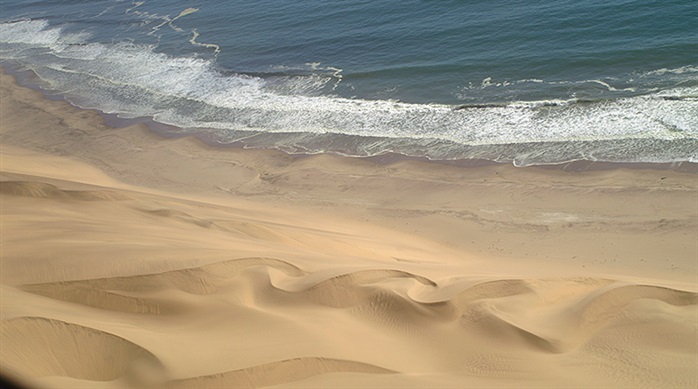 The most unusual sight along the coast is the proximity of undulating sand dunes at the shoreline. 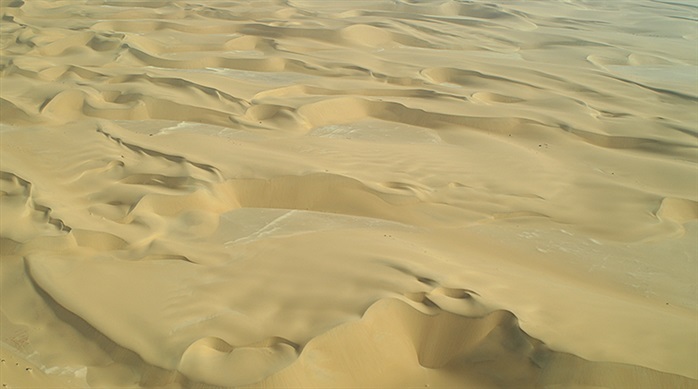 Traveling inland across the Namib Desert by air one sees an astonishing array of what could pass for abstract art: golden swirls, parallel structures, squiggly lines, etc., all formed by wind and weather. 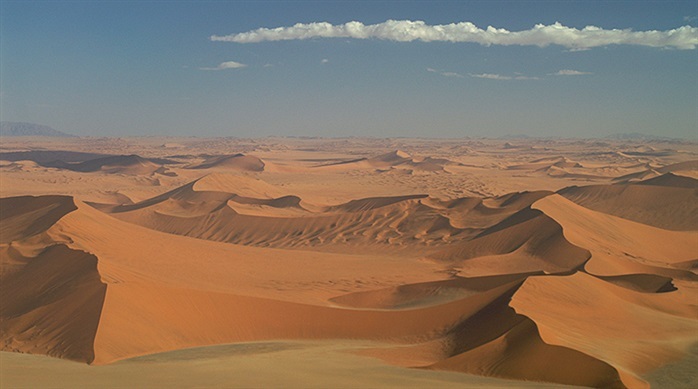 Then there are the amazing orange-colored dunes that intrepid travels have to climb to more personally experience the desert. 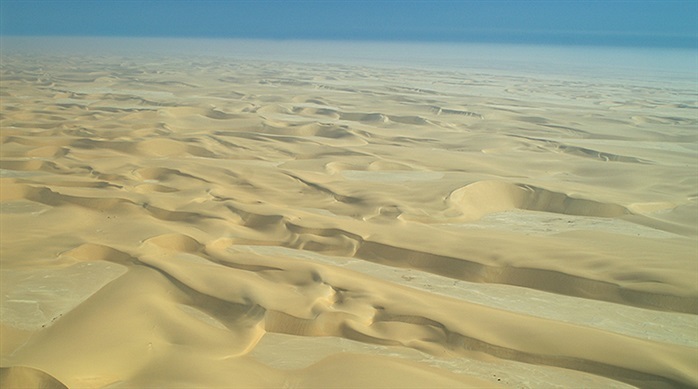 The world's oldest desert will leave its mark on those who venture to visit it.